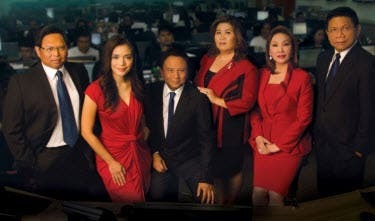 GMA News and Public Affairs mounts its biggest, most comprehensive election coverage this Eleksyon 2013, reestablishing itself yet again as the Philippines’ news authority. Running a full 28 hours from 4:30 AM on election day until the morning after, GMA’s news teams will be reporting from a total of 47 strategically selected live remote points throughout Luzon, Visayas and Mindanao including the GMA originating regional stations Cebu, Davao, Dagupan, Ilocos, Naga, Iloilo, Cagayan de Oro and satellite stations Bacolod and General Santos. Using the latest in transmission technology including a Digital Mobile News Gathering System, live reports will be sent to GMA’s election hub: a two storey set that took weeks to construct inside the largest – almost 1000 square meter – GMA network studio. The Eleksyon 2013 set includes a massive data and call center desk and an all-new social media center – with a Google Hangout which will allow the public to engage in discussions with moderators and guests throughout the coverage – in addition to the traditional anchors’ and talk areas. Adjacent to it, a fully equipped election war room to handle coordination among hundreds of staffers has been prepared. GMA News and Public Affairs pillars Mel Tiangco, Mike Enriquez, Vicky Morales, Arnold Clavio, Howie Severino and Jessica Soho will lead the coverage, providing analysis as to the hows and whys of the country’s second automated elections. They will be utilizing state of the art computer graphics technology as they anchor: including virtual screens and a new tracking system to enhance the presentation of real time immersive graphics, similar to what was used by CNN during their 2012 U.S. Presidential election coverage. In 2010, GMA led all media organizations in providing a consistently fast, accurate and uninterrupted count as soon as the first PCOS machines transmitted the numbers. 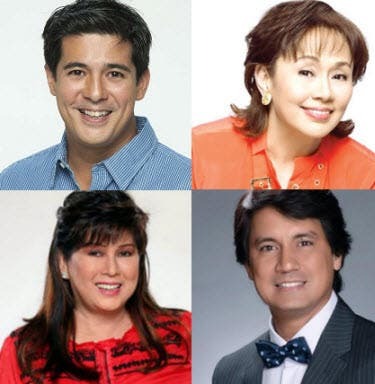 Viewers can expect even more from GMA this 2013, the network will be able to provide information as to how each national candidate performs – not only nationwide, but as far down as city level. GMA’s news pillars, reporters and producers from its television, radio, web and social media platforms come together for Eleksyon 2013 in an effort to deliver information to as many people as possible. The coverage will be supported by GMA’s election partners – COMELEC, PLDT, Smart Communications, the Catholic Media Network, the Phil. Center for Investigative Journalism, AMA Education System and the Parish Pastoral Council for Responsible Voting, among many others. Even citizen journalists have been tapped to contribute. In preparation for Eleksyon 2013, GMA News Online conducted a series of training workshops for these journalists – they will be posting video, photos and information on election day through GMA’s YouScoop website. To further ensure accuracy in its reports, former COMELEC Commissioner and Associate Justice of the Court of Appeals Teresita Dy-Liacco Flores will serve as GMA News and Public Affairs’ in-house election consultant throughout the coverage. GMA News Online will highlight social media in this election coverage, using web applications powered by U.S. based social media visualization company Mass Relevance. The Kandidato Buzz Index application visualizes which candidates are most talked about on Facebook and Twitter, while the Voting Experience Poll will allow social media users to report problems they have while voting. GMA News and Public Affairs has gone all out for Eleksyon 2013. Weeks before election day, GMA Public Affairs aired a slew of specials aimed at voter education including the programs Bayan Ko, Paninindigan, Pagsubok ng mga Kandidato, Camera Juan, Kandidato, Landas, Kasaysayan ng Eleksyon, the Dapat Tama Advocacy Ads and Bilog videos among others. On election day itself, GMA Network will be connected to COMELEC’s mirror server — which guarantees immediate vote results from the polls. The right to suffrage is the great equalizer – giving the power back to the people in choosing their leaders. GMA News and Public Affairs takes its responsibility to serve as the voters’ watchdog closely to heart. All its efforts for the Eleksyon 2013 coverage are firmly grounded in an advocacy that has become the organization’s rallying cry this season: Dapat Tama or doing what is right for the sake of the nation.